Do Trucks Cause Traffic for Local Denver Citizens? DENVER, CO – Do you find yourself wondering what’s going on with Denver traffic? Lately, it seems like every major metro roadway in Denver is either too crowded or closed off. Many major highways, like Central 70 and I-25 South, or even projects like C-470, are causing a little more than congestion. Long-haul trucks seem to be catching heat in what seems to make a bad situation worse. Many roadways in Denver have been susceptible to revitalization after last year. As of late, the rain and snow haven’t been kind to these projects. At some points in one’s morning commute, one might find themselves bumper-to-bumper on what is supposed to be a freeway. Traffic regularly builds up, and Denver locals are looking at long, bulky trucks as part of the problem. What can we do to alleviate the impact of these trucks? People need their goods delivered, and it’s not truckers’ faults that they may have large loads. 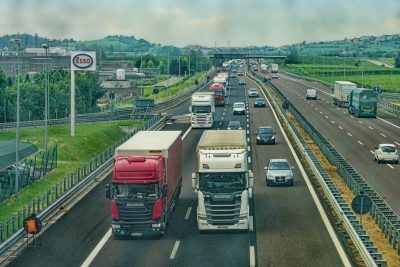 Jason Wallis, freight senior authority at the Colorado Department of Transportation, claims that they encourage truckers to take routes that will less likely contribute to clogged up highways. Still, Wallis claims it won’t make much of a difference. To contradict this, Los Angeles kept long-haul trucks of highways during the 1984 Summer Olympics to limit traffic. For the duration of the games, traffic was reduced by 60%. Unfortunately, for those pushing for the change, it’s not legal. The Department of Transportation only requires laws to limit transportation for safety reasons. And although the truckers do contribute to the traffic, they are not the only culprit. Many factors have caused Denver congestion to increase.